CLEVELAND, OH - January 11th, 2008 - The Cleveland Cavaliers have assigned guard Shannon Brown to the Rio Grande Valley Vipers of the NBA Development League, Cavaliers General Manager Danny Ferry announced today. 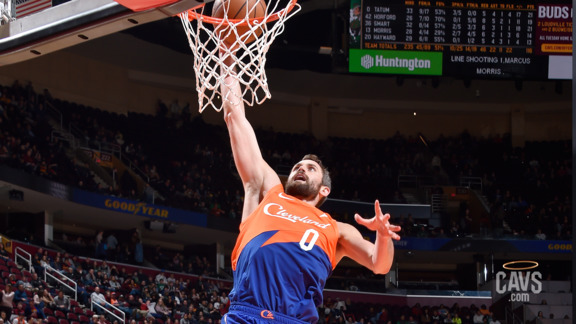 Brown has played in 12 games (four starts) for the Cavaliers this season and has averaged 7.9 points, 1.3 rebounds and 1.4 assists in 16.4 minutes per game. He played in one game last season with the D-League’s Albuquerque Thunderbirds and posted 14 points, four rebounds and six assists in 28 minutes. The Vipers are the D-League Affiliate for the Cavaliers, Houston Rockets and New Orleans Hornets.